How to get started with MeasureProductivity? Actually, it is easy. 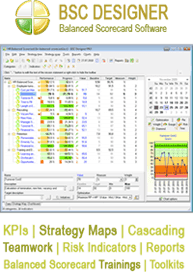 Run MeasureProductivity, it will stay in your tray near clock.Work with your PC for some time. You don’t need to do any special things, just work as usual. MeasureProductivity will gather information about your current activity and put it into database for further analysis. The program will generate and open htm report in your default browser. Analyze “Processes” section of this report to learn more about titles that appears during your work, this is the most useful information. Then get back to the program, click “Customize” button and configure Groups as you need them to be. That’s all if you will generate report again, it will contain a lot of useful information, the most important, it will tell you how long have you spent in the role of, say, webmaster or financial manager.